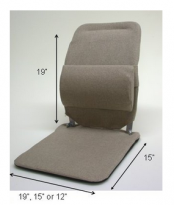 The Deluxe comes with an additional 1" of padding compared to the standard model. Having been in the making for over 70 years, the McCarty's Sacro-Ease has become a fixture in the world as one of the most effective back supports available today. 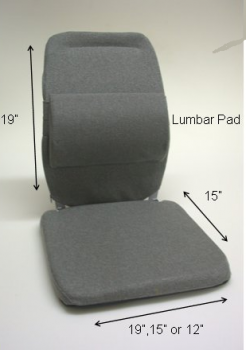 Simply one of the most effective ways to "rebuild" an unsupportive seat or chair, these basic Sacro-Ease models are rated among the best. Used daily by truck and taxi drivers, on buses, airplanes, boats, or just driving anywhere, the McCarty's Sacro-Ease works. Comes with an extra 1" of padding and adjustable lumbar pad.